Amy grew up on the coast of Maine. Her family (as far back as there are records) were successful fisherman and lobsterman. Amy’s parents taught her that you are responsible for the animals you raise and it is your job to care for them, the land, and the sea to the best of your ability. From Maine Amy studied biology at the St Lawrence University in Canton, NY. She then received a gradate degree in Masters in Business Administration from Old Dominion University in Norfolk, Va. She went on to a healthcare career spanning 20 plus years yet always knew someday a farm was in her future. Jim persuaded her to move west and start a small homestead in the Bitterroot Valley of Montana. Together they felt a sustainable model was the best fit for there values and priorities. Sustainability is not something that you “do”, it is a journey and a progression that you work toward. Amy spent hours researching and working with local mentors to improve the farming model and an animal management program. 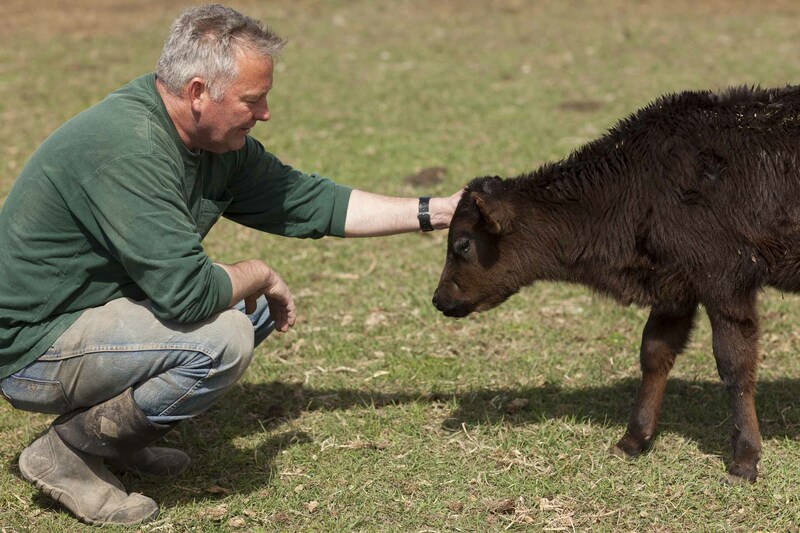 In 2013 Jim decided it was time to make the farm a reality. Together they bought their first pigs and sheep. Jim built their first chicken coop and a garden went in that summer. There was successes, failures, good surprises and some tragic. All those sessions went into Amy’s arsenal to make her a better steward. At the same time they were beginning the farming experiment. There was growing public attention regarding commercially raised pork and chicken products and the health scares coming from this mass production industry. Jim and Amy decided there was no need for them to purchase meat or eggs from commercial producers. More and more Amy was seeing parallels to her childhood in Maine. Her father brought home dinner every night from his catch that day. He sold his fish or lobsters (depending on the year and season) to a local market. The local market would in turn run fresh seafood up and down the coast to grocery stores, restaurants, and vender markets. Why could they not do that here with pork and lamb produced from there own farm in Montana? Amy began to ask people here in the Valley (that did not raise there own animals) how they bought locally. 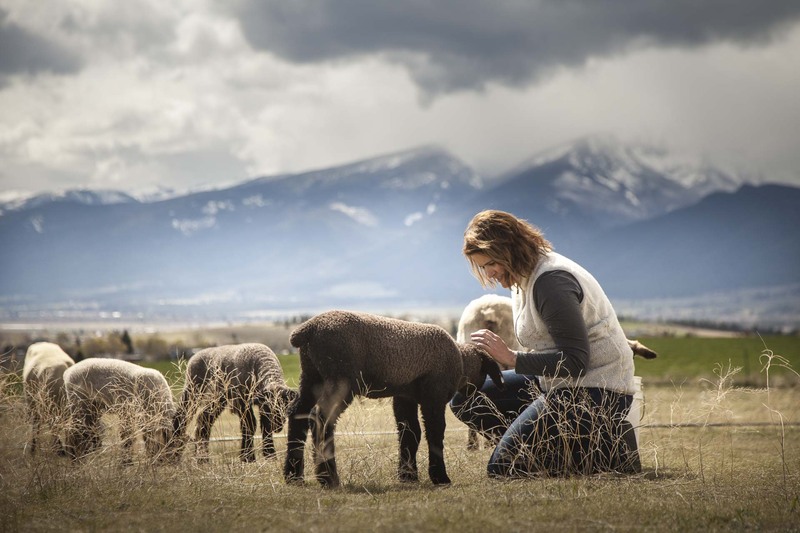 She learned that locally raised lamb was shipped across the country to larger plants in Colorado and California. Then it was shipped back to the Vally. She learned that families did not all own large freezers or have the cash flow to buy a whole pig or lamb all at once. She went to her local Bitterroot grocery store and saw a picture of a “Local” lamb producer from Washington State. Why could they not grow and feed the local community in the Valley? In 2016 Jim gave Amy the opportunity to solve this problem. She retired from her job in Healthcare and started the expansion of Moose Springs Farm. The journey would not be possible without the help of countless community members, friends, mentors, and local professionals. All these people help make Moose Springs Farm a reality. Most importantly Amy is thankful for her friend and husband Jim who supports the venture and collective dream.